Si is a semiconductor material commonly used in infrared optical systems operating in the near-IR and MW spectral band. 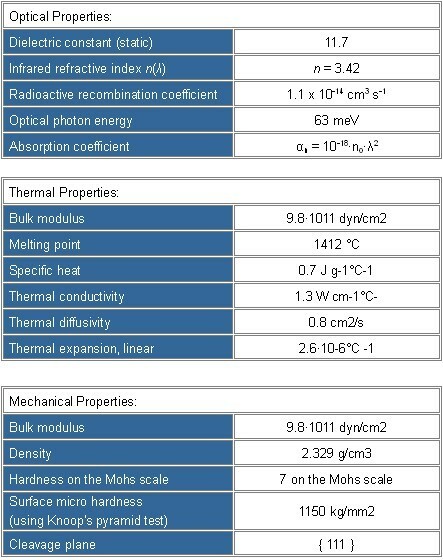 Silicon has the lowest density among common infrared materials, making it ideal for systems with weight constraint. Products such as MIRROR, WINDOW .LENSES,PRISM,FILTERS AND WEDGES in different sizes are available.